Sorry the blog's been turned off for a few days. With me being a stay at home mum, Aaron and I get to go to a lot of parks. There's one we go to again and again and again, but whenever Daddy and the car is available we like to get a bit intrepid. 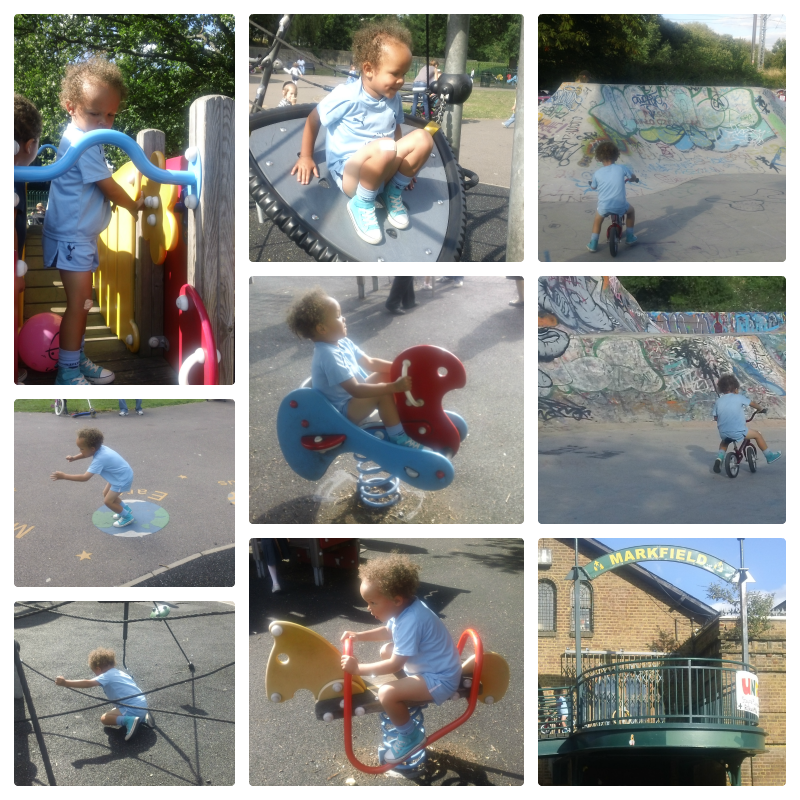 Yesterday that saw us in Markfield Park. We went to the slides and swings part obviously, whereas pre-baby I would have headed straight for the cafe. We ended up there for hours but it was fine as there was lots to do and lots of nice children/parents. Once they are out of the buggy, they get to the slides and swings as quick as they want, i.e. the minute they are in sight, even if it's a park they don't know, they're off like a racing car. I can't even keep up with him now! Just as we were about to get in the car to go home, Daddy remembered we had not taken Aaron to see the skate boarding area, so we headed in there. Given that he now has his first bike he was fascinated, but whenever there were real stunts going on, we had to keep him well out of the way. It was great as there were not many people in there and they were all on bikes, so really perfect for Aaron to watch. Now he keeps saying "I want to do tricks". Aaron just happened to be in his Spurs kit yesterday, which was perfect given the area that we were in. I really ought to do a blog post about the fact that we were in Hampstead Heath all day Saturday but I need to spend quite some time on that post. We went on a spectacular Tree Walk. Welcome back and thanks for the link. 1. Having or marked by imposing physical strength. 2. Firm and resolute; stout. 1. One who is physically and morally strong. 2. One who steadfastly supports an organization or cause: party stalwarts. Lovely post! Don't boys always want to be adventurous and do what the big boys are doing?! That park does look fab and I agree that the graffiti is really something. It is good that they do tricks at your park - as kids just seem to climb over our half park and no-one really does anything on the bike ramps. 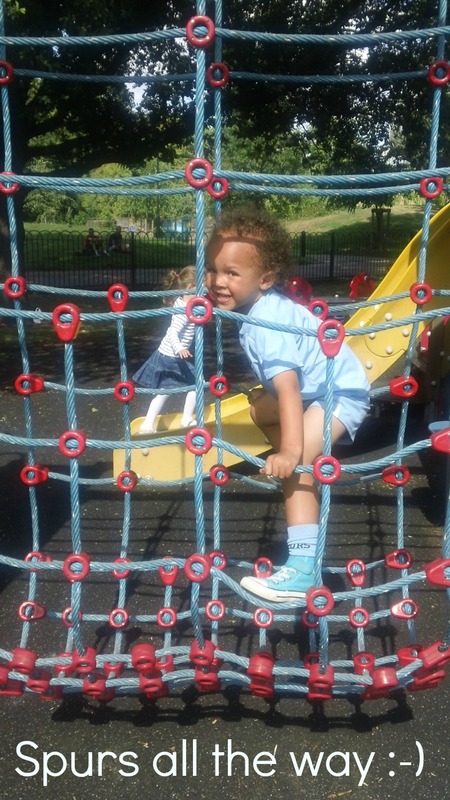 Thank you for sharing what looks like a very fab day out.